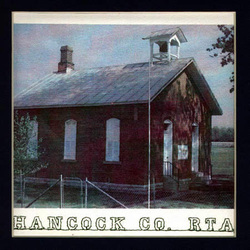 The Hancock County Retired Teachers organization was founded in October 16, 1966. Fourteen retirees attended the first meeting. The Little Red School House is located on County Road 236 in Hancock County and was built in 1864. It was schoolhouse for 72 years. This makes it one of the longest used schools in Ohio history. The building was built on the Wiseley farm and when approached about the idea of restoring the school and providing public tours, the Wiseley Family responded favorably. The local Retired Teachers Organization renovated the building. It is now a part of the Hancock County Historical Museum. The chapter is still going strong with over 225 members. Twelve meetings are held each year which include four business meetings and eight breakfast meetings. The group has added a Scholarship Program where two $500 scholarships are awarded per year. This committee is busy most of the year promoting this scholarship to the young people, collecting the information and then making the final selections. The winners are then guests at one of the regular meetings. Tours of the Little Red School House are available during the summer. We would encourage the public to visit the school and feel the effects of the early "Little Red School House."